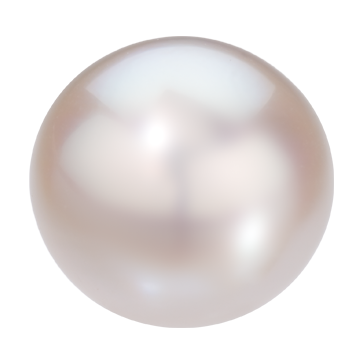 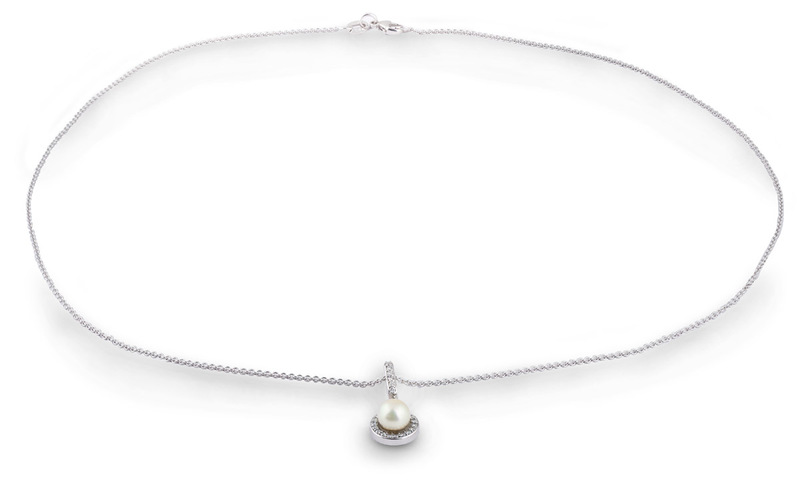 This charming and understated pearl necklace is accented by a halo of glittering diamonds, with additional diamond accents in the bail. 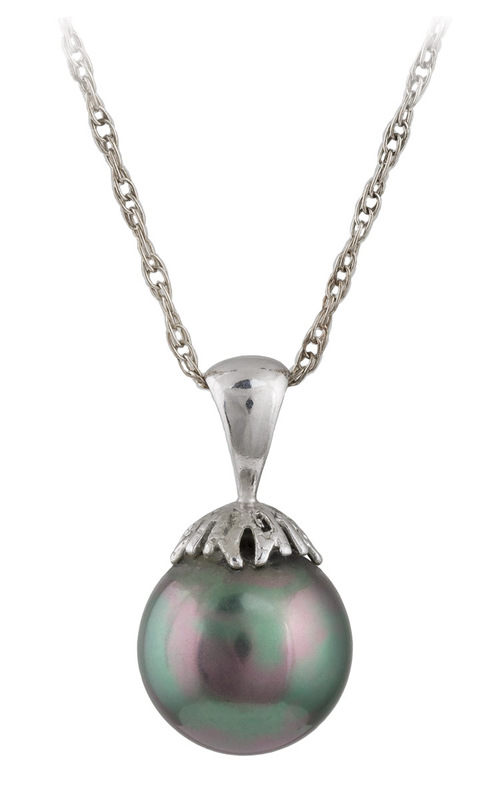 A versatile accessory, great for everyday wear, or formal occasions. 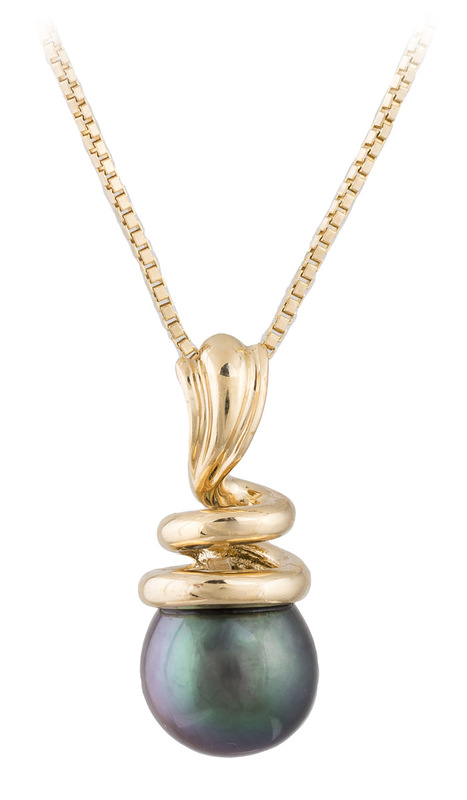 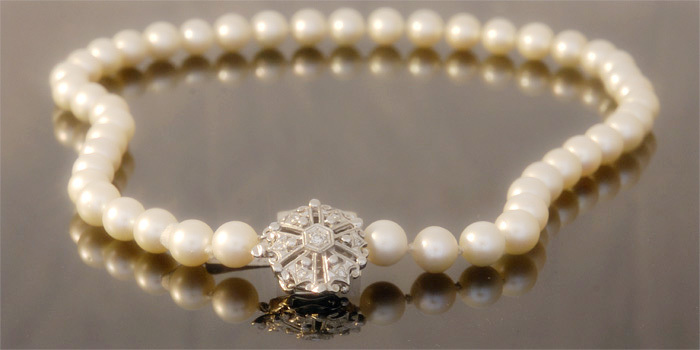 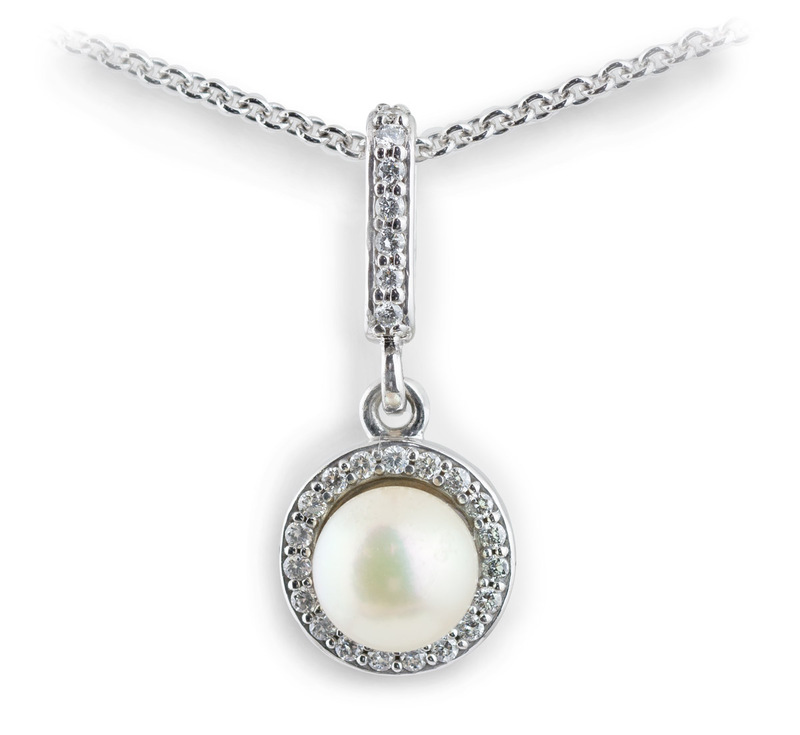 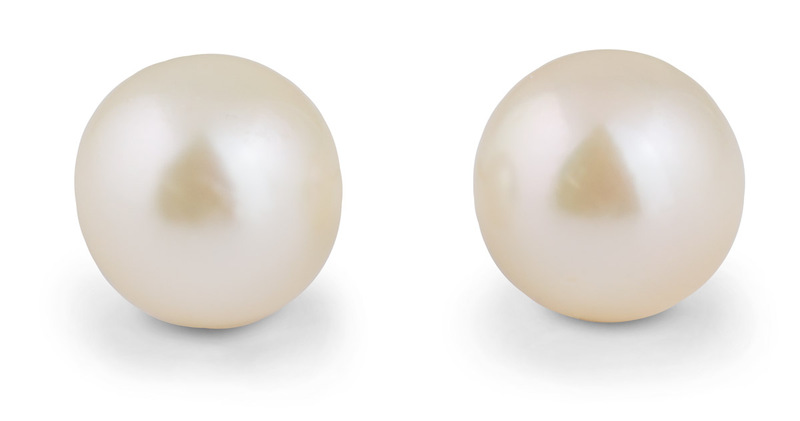 This necklace takes the classic elegance of pearls and adds a modern flare.